Interviewer: And are you going to shoot something after that? 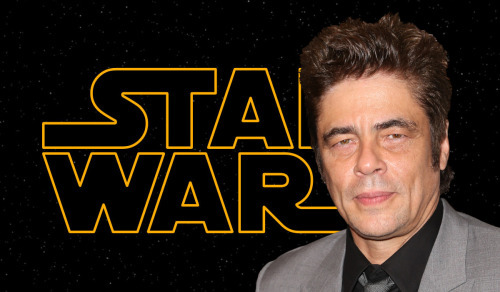 Benicio Del Toro: No, just… *pause* Star Wars is coming up, we will see how that turns out. I think we start shooting in March. Interviewer: And what’s your role in this new Star Wars chapter? Benicio: Ehhh…. the thing is…. They don’t let me talk too much about it, I’m like the villain. So who is he going to play? Will he be taking over the villainour role of Kylo Ren and Snoke? Or is he part of the mysterious Knights of Ren? What are you thoughts! Tell us below!